Ontario's Ministry of Natural Resources and Forestry is investigating whether construction crews building a major wind-turbine project on the eastern shores of Georgian Bay amidst tinder-dry conditions caused a forest fire that is now devouring more than 5,600 hectares of land. Despite "extreme fire hazard" conditions and a region-wide fire ban, a number of workers say crews continued to blast rock and use heavy machinery that had set off several small fires earlier last week. The workers asked CBC News to withhold their names out of fear of losing their jobs. But on Wednesday, things got out of control. "We heard on two-way radios that there was an Argo [an all-terrain vehicle] that broke down in the bush where the fire began," one worker said. "During the week, as we proceeded through work, there were fires that started up from our machines … little fires," he said. "But this one started and it was too big for [workers] to control. And it got out of hand and it turned into devastation." A second worker told CBC News he was equipped with a 20-litre fire suppression "piss pack" but it was no match for the blaze that broke out Wednesday. The workers said their bosses were pushing for seven-day work weeks and were also considering night shifts to keep up with the project developer's schedule. "They were still blasting every day, sometimes two or three shots a day," one worker said, despite the extreme fire-hazard conditions. "We've had fires start off beside blasting mats, but it still went on every day. "I think that the job should be shut down," he said. "I think those that knew the consequence of this [and] just kept going and ignored the problem at hand ... should be held responsible for this." 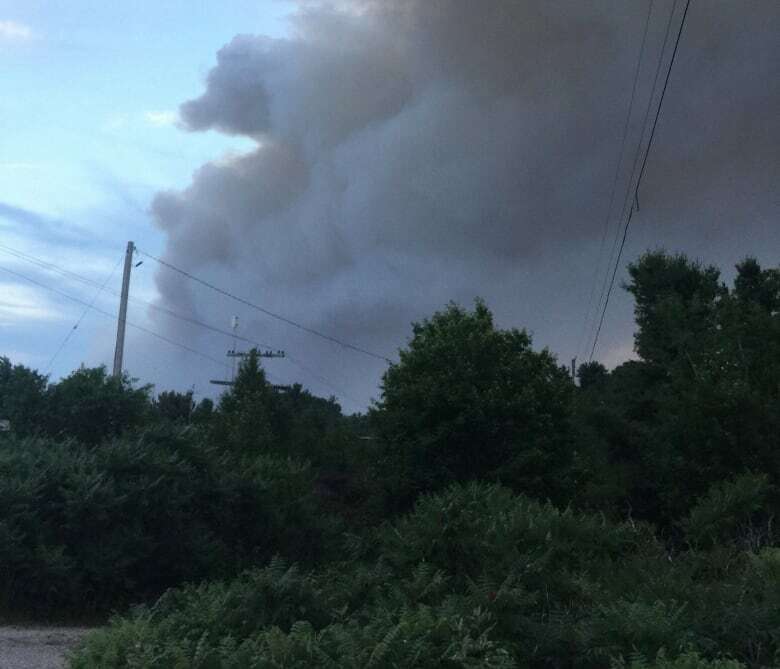 Provincial officials have named the fire Parry Sound No. 33, and Ontario's forest fire information website initially listed the cause as "human." But by the weekend, the flames spread to about 48 square kilometres, forcing hundreds of canoe trippers, cottagers and residents to evacuate the region, including Henvey Inlet First Nation, the Key River and the nearby French River Provincial Park. 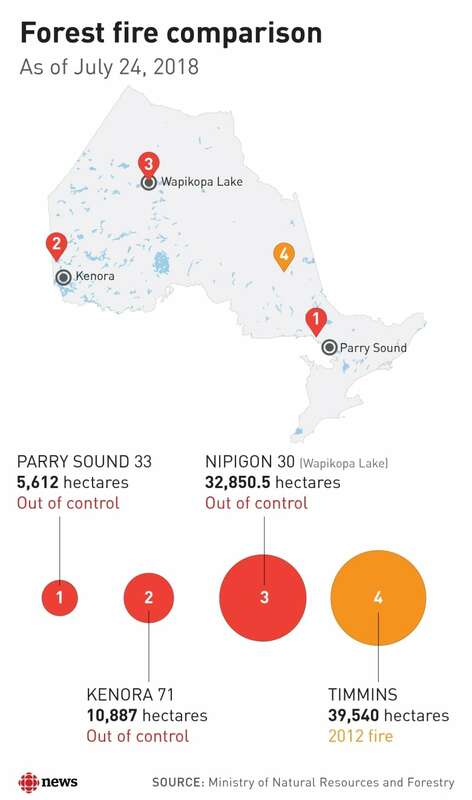 Here's how Parry Sound 33 compares to other active fires in the north as well as the big Timmins 9 fire of 2012. The Ministry of Natural Resources (MNR) has since removed mention of the fire's cause. "That was removed just so, you know, in order to avoid public speculation," said spokesperson Shayne McCool, confirming a more detailed investigation is now underway. "We're seeing lots on Facebook about speculation … so that cause was removed in order to reduce that speculation. And at this time, the cause is unknown and it is under investigation." The fire is one of the largest among the 55 active forest fires burning across northeastern Ontario. According to MNRF figures, 21 of those are listed as out of control. 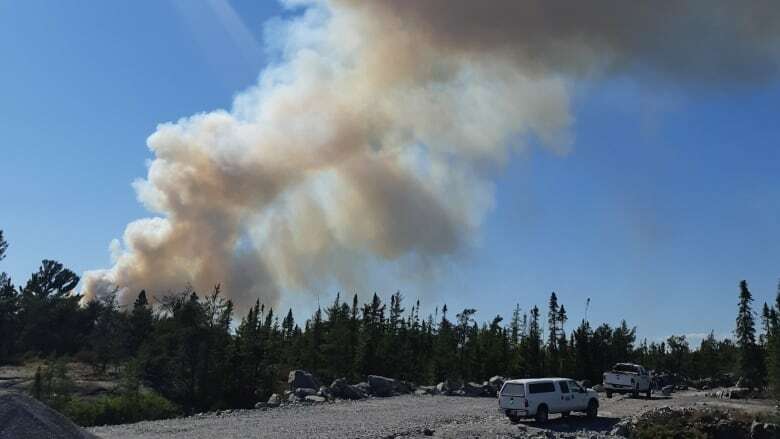 Satellite images — partially blocked by cloud and smoke cover — show that the fire has spread north and west into the French River Provincial Park and the eastern outlet of the Pickerel River. The U.S.-based Pattern Energy Group LP and its affiliate Pattern Development, which are developing the Henvey Inlet wind project, declined to comment on what role their contractors may have played in starting the fire, but a Pattern Development company spokesperson said construction is currently shut down at the site. "At this point in time, our primary concern is the health and safety of local residents and workers, and the containment of the fire. We are working closely with emergency responders and the MNRF, and have offered housing for evacuees and resources to assist with evacuation, including helicopters," said Matt Dallas in an emailed statement. "The cause of the fire is not known, despite rumours and speculation. Pattern Development and the construction contractor, CER, are offering our full assistance with the MNRF as they conduct their investigation," he wrote. "Regardless of the cause, we are committed to assisting the communities affected," added the company's Toronto-based lawyer Frank Davis. "Pattern Development is anguished over the devastating wildfires affecting the areas around the Henvey Inlet wind project. 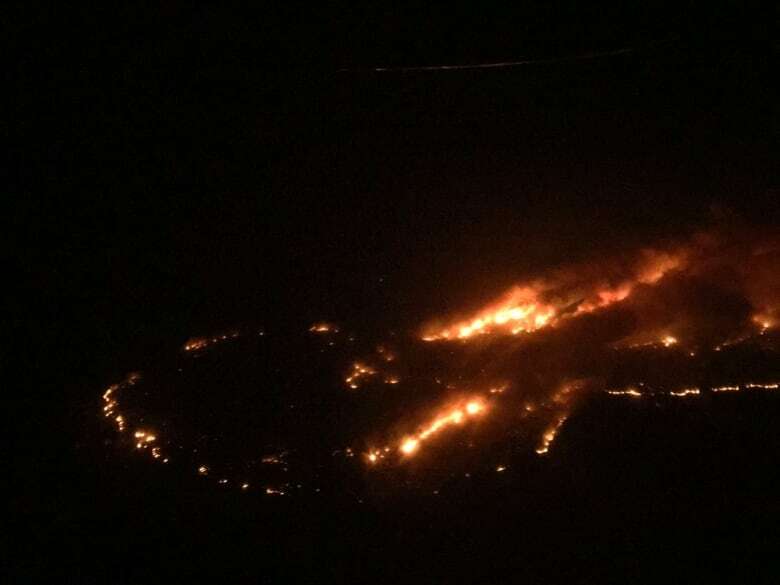 As wind project partners with Henvey Inlet First Nation, we are deeply concerned with the effect of these fires on the local communities and are committed to helping in any way we can," Davis told CBC News.